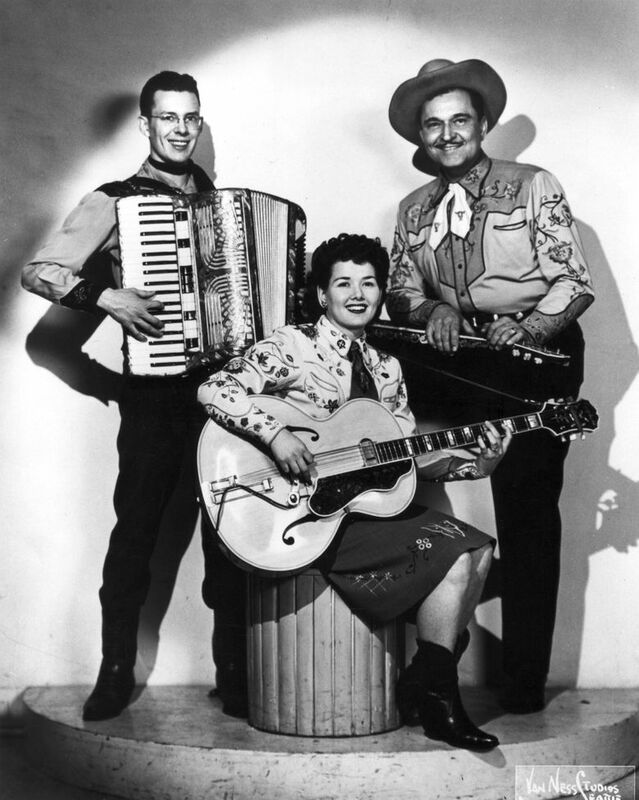 The Washington native and country music star forged her own path in a male-dominated industry during the 1950s and 1960s. Even in her 90s, she performed marathon sets at the Businessmen's Club in Soap Lake, where she made her home for the last 35 years. Sometimes stars feel a million miles away. But not Bonnie Guitar. 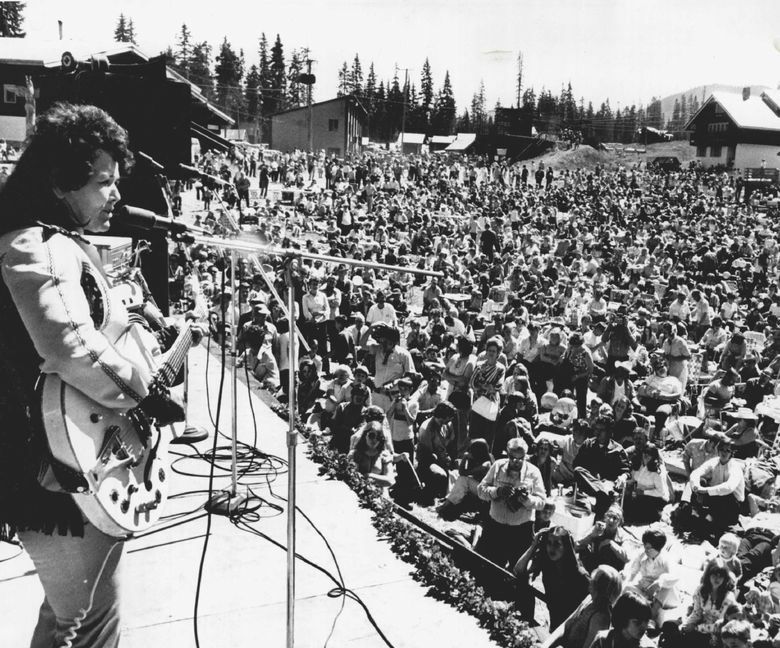 For all the “Ed Sullivan Show” appearances and mingling with country legends the homegrown artist did during her rise to fame in the late 1950s, the approachable Washington native was as “in-your-backyard” as it gets, as Steve Rimple, a friend and recent member of her band, put it. 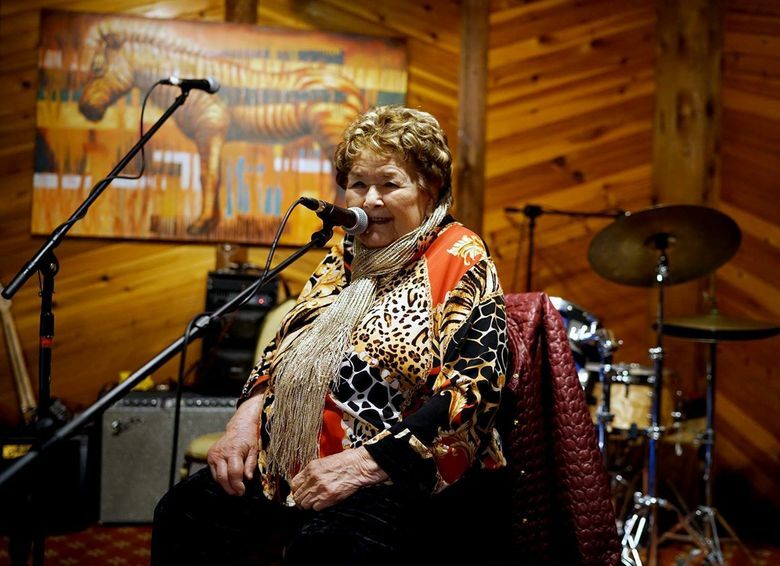 The pioneering musician, producer and label owner, who became part of the fabric of the community in Soap Lake, Grant County, died in her sleep Jan. 13 at age 95. Ms. Guitar had suffered from congestive heart failure and was rehabilitating a broken wrist and cracked rib at the time. “She must have gotten a call for another gig, and she went to it,” Rimple said. Born Bonnie Buckingham, the angel-voiced singer/guitarist worked as a session musician during the 1950s, back when such jobs were predominantly held by men. 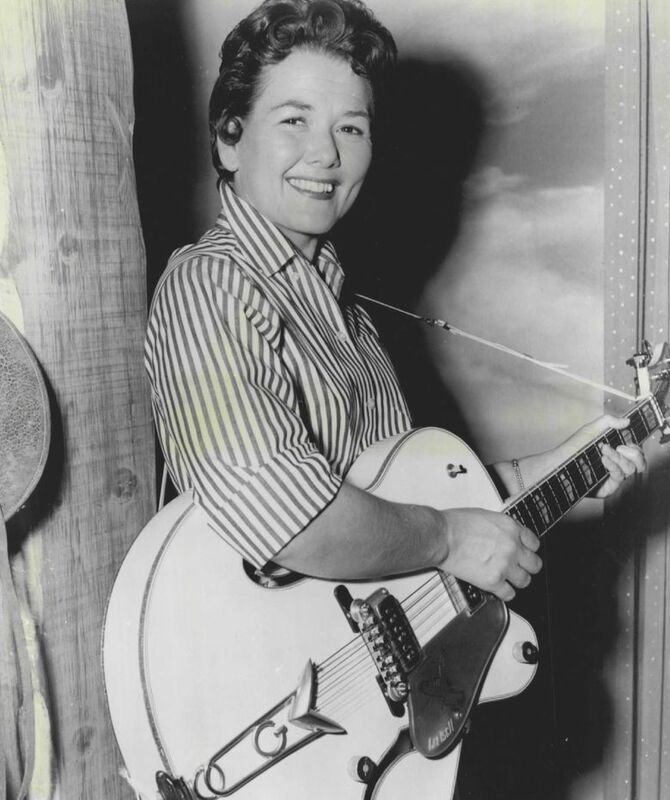 The artist, who became known for playing her signature Gretsch White Falcon guitar, scored a hit of her own in 1957 with starry-eyed ballad “Dark Moon,” which was later covered by Gale Storm and Elvis Presley. Her label boss Fabor Robison initially pegged the song for another artist, but sensing it was a hit in the making, Ms. Guitar agreed to waive her royalty rights if she was allowed to record it. “Dark Moon” became a country/pop crossover hit, reaching No. 6 on Billboard’s Hot 100 chart, The Seattle Times reported. Its success thrust the singer — who had by then adopted her Bonnie Guitar moniker — into the limelight, performing on “The Ed Sullivan Show,” where she was greeted by hundreds of fans, and touring with Gene Vincent, the Everly Brothers and other stars of the day. Through all her session work, Ms. 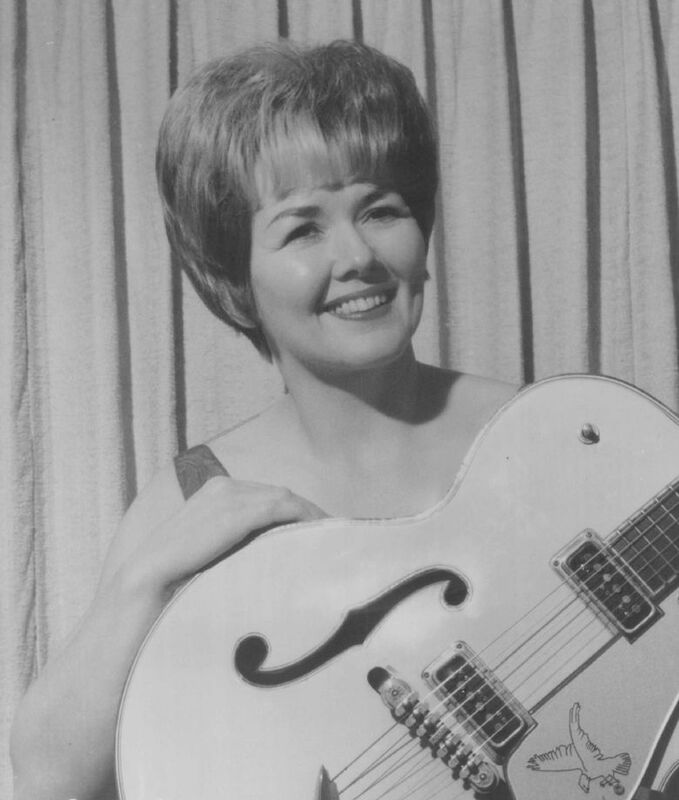 Guitar became a studio wiz — a skill set that later served her well as a founding partner and in-house producer with Seattle-based Dolton Records, the label that launched several breakout Washington acts, including The Fleetwoods and Rock & Roll Hall of Famers The Ventures. After splitting with Dolton, and at a time when women rarely held powerful label positions, Ms. Guitar went on to serve as the A&R head of RCA Records’ country division during the 1960s, scouting and developing new artists, according to HistoryLink.org. Ms. Guitar grew up in South King County and got her start playing regional talent competitions during the Great Depression. 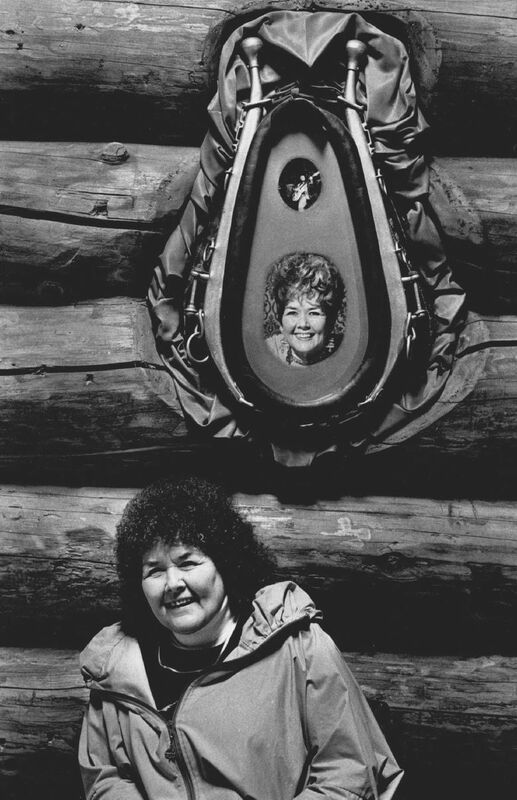 She and her first husband Paul Tutmarc, her former music teacher whom many credit with inventing the first electric bass guitar, performed together around the Northwest as Paul Tutmarc and the Wranglers. Even before her “Dark Moon” fame, Ms. Guitar was invited to audition for several high-profile Hollywood roles, though the silver screen wasn’t in the cards. For all the industry roles the trailblazing Renaissance woman held, Ms. Guitar relished working as a producer, putting her studio know-how to use. “Each of those could’ve been enough for one person, but she had about 10 hats that she wore and she wore them all really well,” said her step-great-grandson Shane Tutmarc, a former Seattle musician now based in Nashville, who considered Ms. Guitar a mentor. As much as she enjoyed touring, Ms. Guitar loved being at home, canning or mending fences on the 80-acre ranch in Orting she built with her second husband, Mario DePiano. There, at the foot of Mount Rainier, they kept horses and cattle, and often welcomed young musicians Ms. Guitar mentored into their home. One such aspiring musician was Chris Ward, who lived on the ranch for a while as a teenager and who eventually released an album on Giant Records. In exchange for helping out on the ranch, Ms. Guitar took him on the road with her and taught him to play guitar. Following DePiano’s death in the early ’80s, Ms. Guitar moved to Soap Lake after playing a string of gigs in the area. Lifelong friend Marina Romary was reopening the Businessmen’s Club in the Notaras Lodge complex and booked Ms. Guitar as its signature act. Thanks to her welcoming nature (Ms. Guitar would often pause mid-song to greet folks as they entered the bar) and the closeness of the small-town community, fans became friends and her home was frequented by many visitors. Besides DePiano, Ms. Guitar was preceded in death by daughter Paula Tutmarc-Johnson, and is survived by son-in-law Jerry Johnson and three granddaughters Tiffany, Amy and Emily.